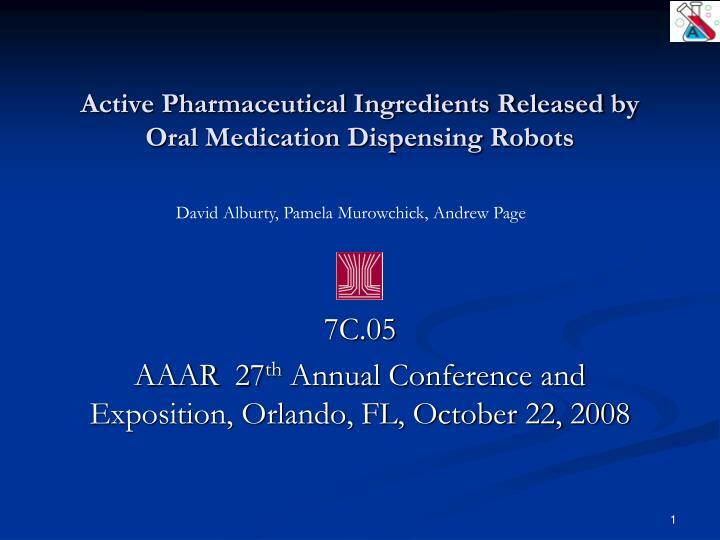 Active Pharmaceutical Ingredients Released by Oral Medication Dispensing Robots. 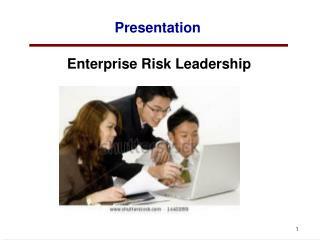 David Alburty, Pamela Murowchick, Andrew Page. 7C.05 AAAR 27 th Annual Conference and Exposition, Orlando, FL, October 22, 2008. 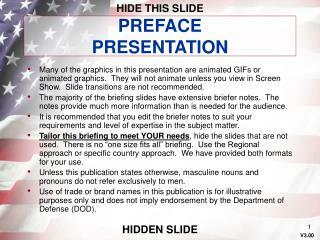 EPA Air Pollution Standards. 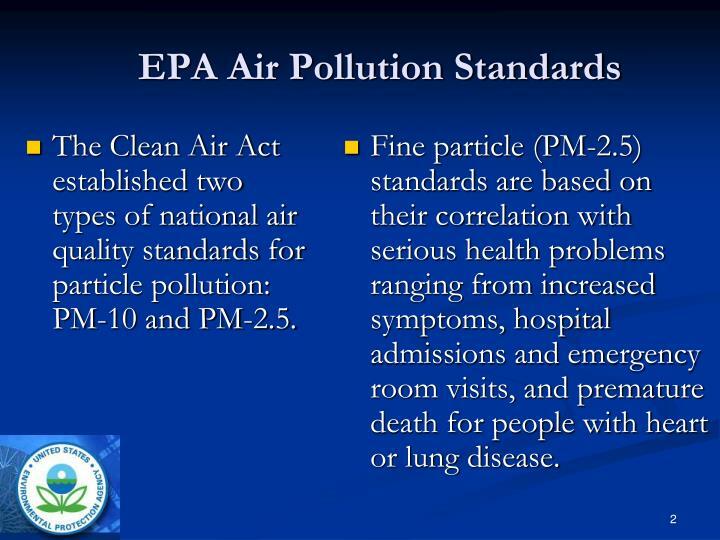 The Clean Air Act established two types of national air quality standards for particle pollution: PM-10 and PM-2.5. 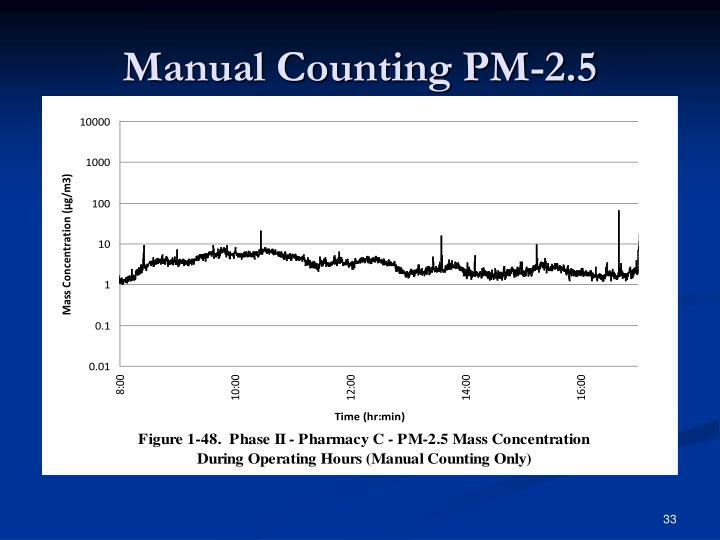 Fine particle (PM-2.5) standards are based on their correlation with serious health problems ranging from increased symptoms, hospital admissions and emergency room visits, and premature death for people with heart or lung disease. 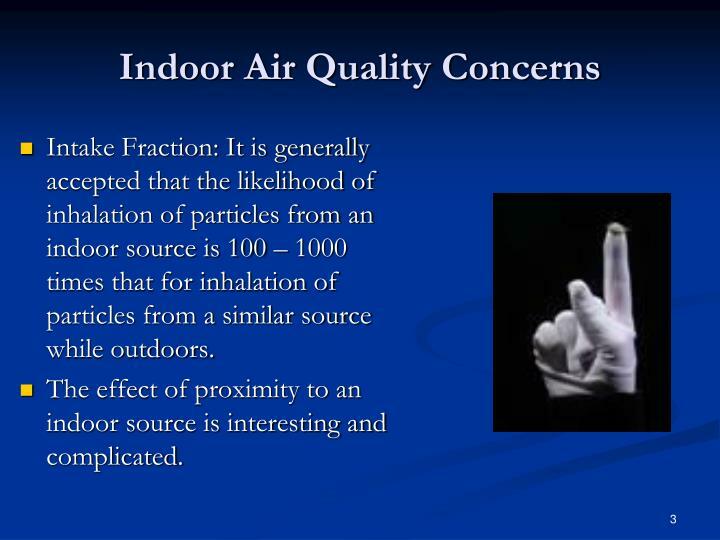 Intake Fraction: It is generally accepted that the likelihood of inhalation of particles from an indoor source is 100 – 1000 times that for inhalation of particles from a similar source while outdoors. 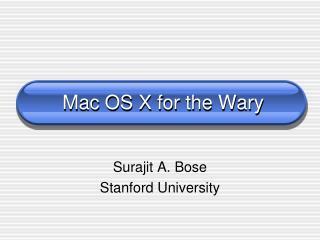 The effect of proximity to an indoor source is interesting and complicated. 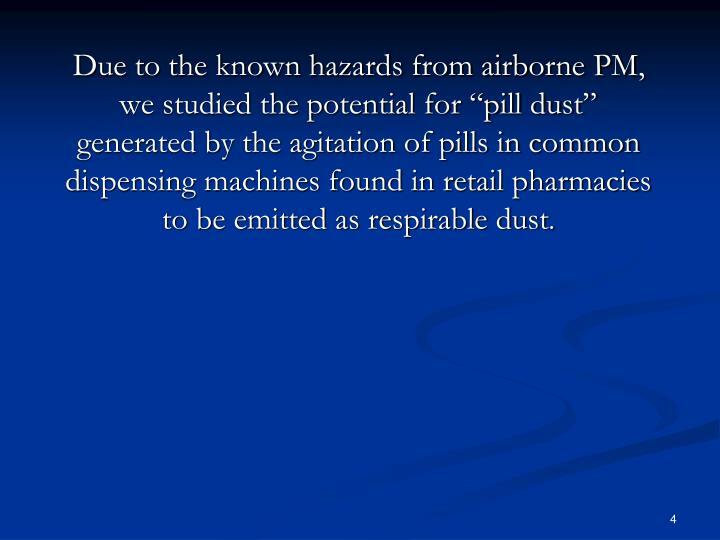 Due to the known hazards from airborne PM, we studied the potential for “pill dust” generated by the agitation of pills in common dispensing machines found in retail pharmacies to be emitted as respirable dust. 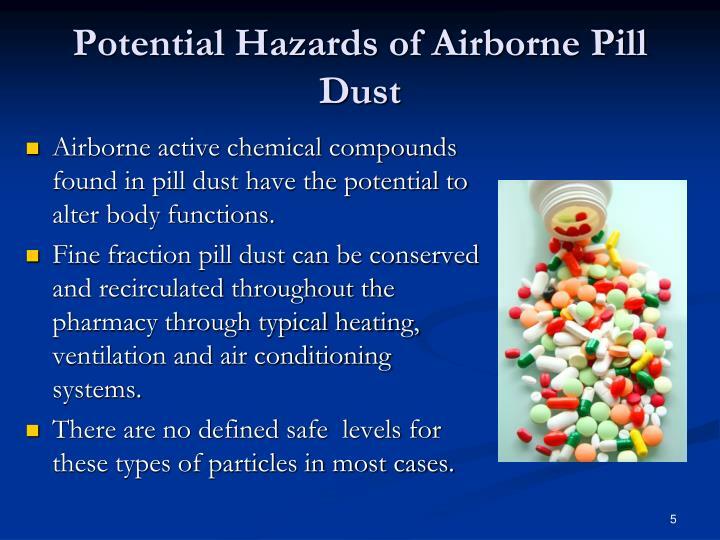 Airborne active chemical compounds found in pill dust have the potential to alter body functions. 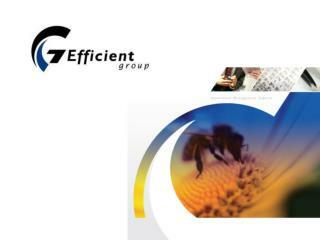 Fine fraction pill dust can be conserved and recirculated throughout the pharmacy through typical heating, ventilation and air conditioning systems. 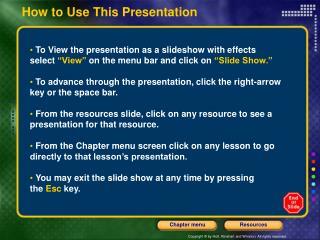 There are no defined safe levels for these types of particles in most cases. 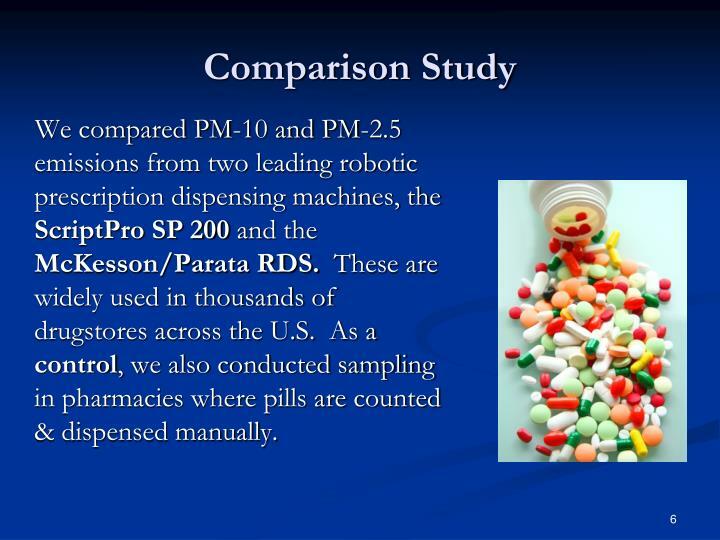 We compared PM-10 and PM-2.5 emissions from two leading robotic prescription dispensing machines, the ScriptPro SP 200 and the McKesson/Parata RDS. 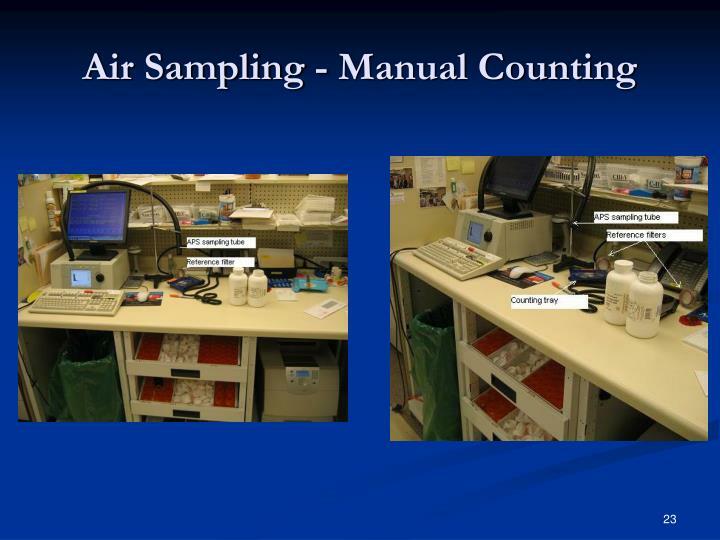 These are widely used in thousands of drugstores across the U.S. As a control, we also conducted sampling in pharmacies where pills are counted & dispensed manually. 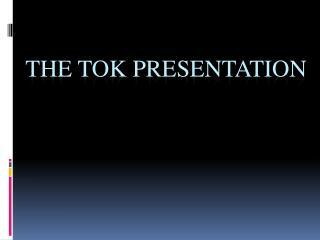 80% of prescriptions filled are dispensed as loose tablets or capsules supplied in bulk stock bottles. 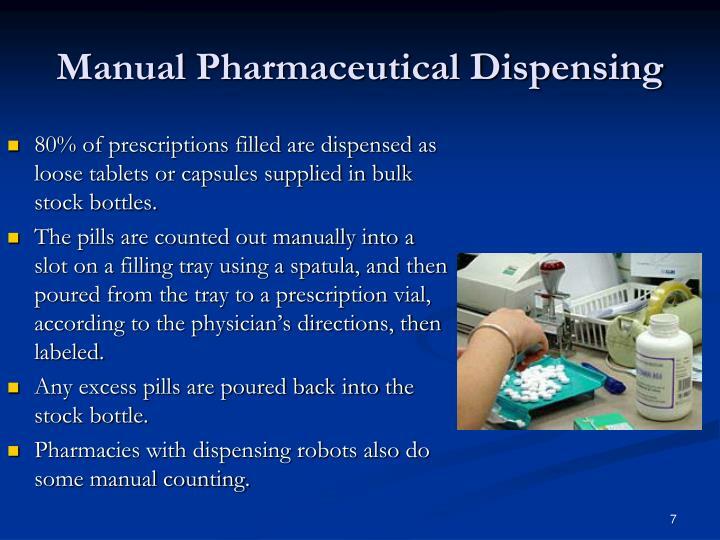 The pills are counted out manually into a slot on a filling tray using a spatula, and then poured from the tray to a prescription vial, according to the physician’s directions, then labeled. Any excess pills are poured back into the stock bottle. 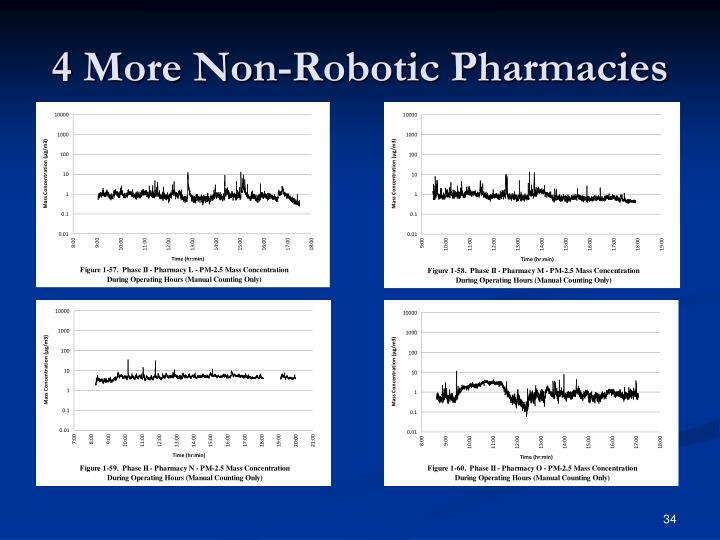 Pharmacies with dispensing robots also do some manual counting. 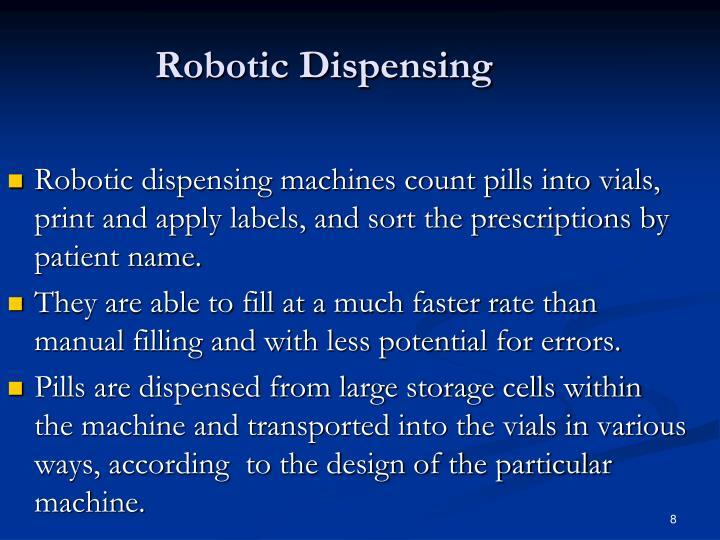 Robotic dispensing machines count pills into vials, print and apply labels, and sort the prescriptions by patient name. 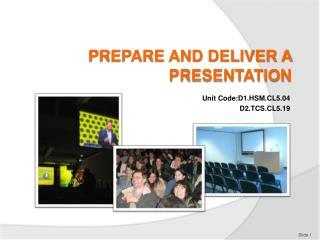 They are able to fill at a much faster rate than manual filling and with less potential for errors. 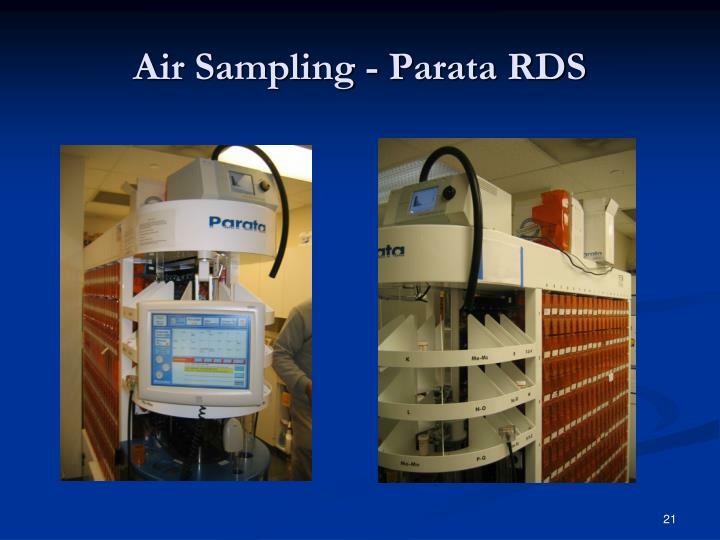 Pills are dispensed from large storage cells within the machine and transported into the vials in various ways, according to the design of the particular machine. 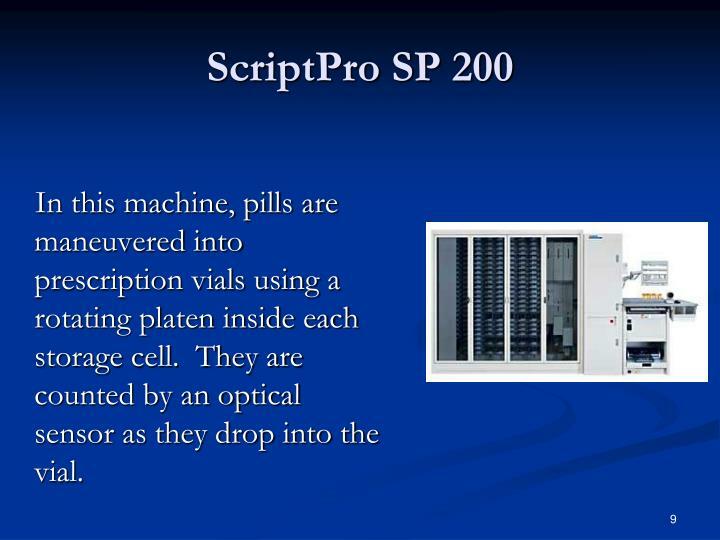 In this machine, pills are maneuvered into prescription vials using a rotating platen inside each storage cell. 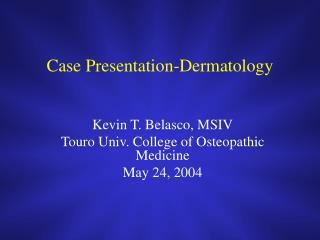 They are counted by an optical sensor as they drop into the vial. 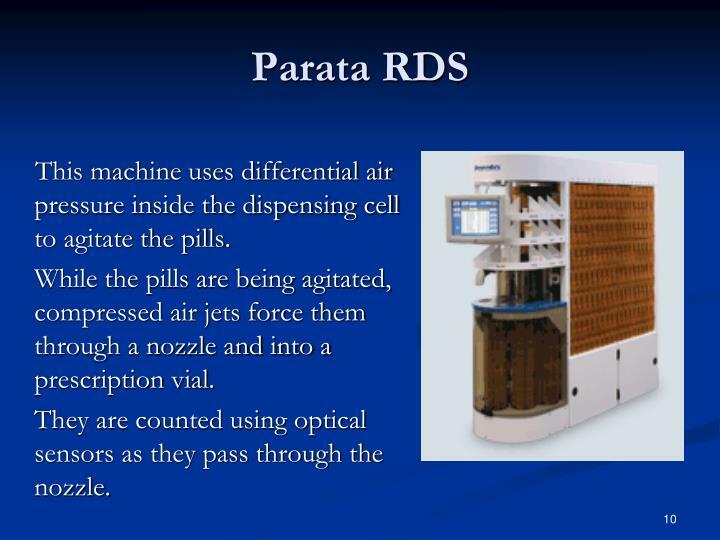 This machine uses differential air pressure inside the dispensing cell to agitate the pills. While the pills are being agitated, compressed air jets force them through a nozzle and into a prescription vial. 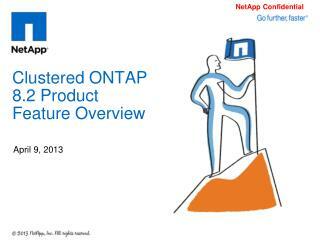 They are counted using optical sensors as they pass through the nozzle. 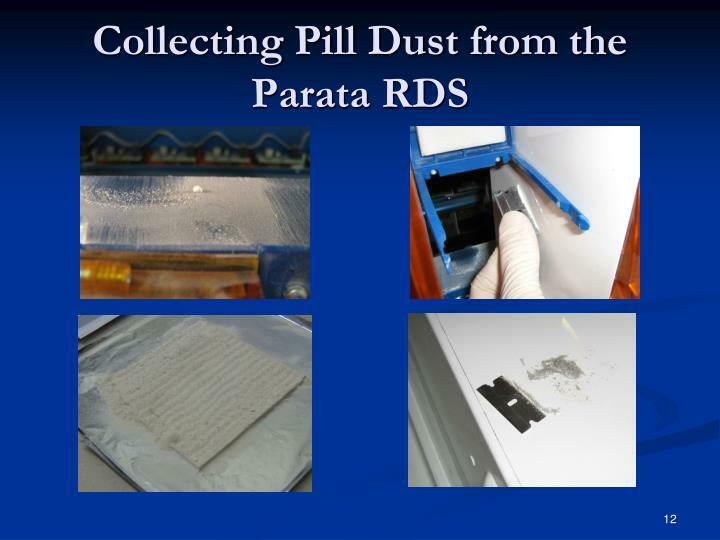 Pill dust was plainly visible on both the inside and outside of the Parata RDS. 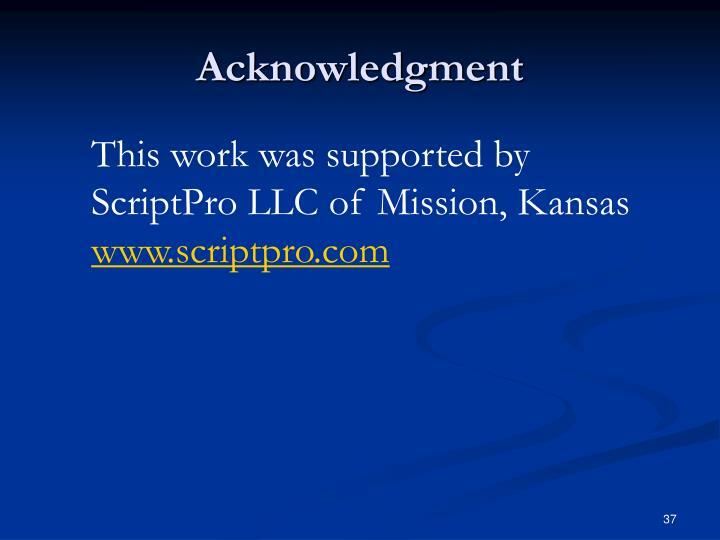 This was not observed on the ScriptPro SP 200. 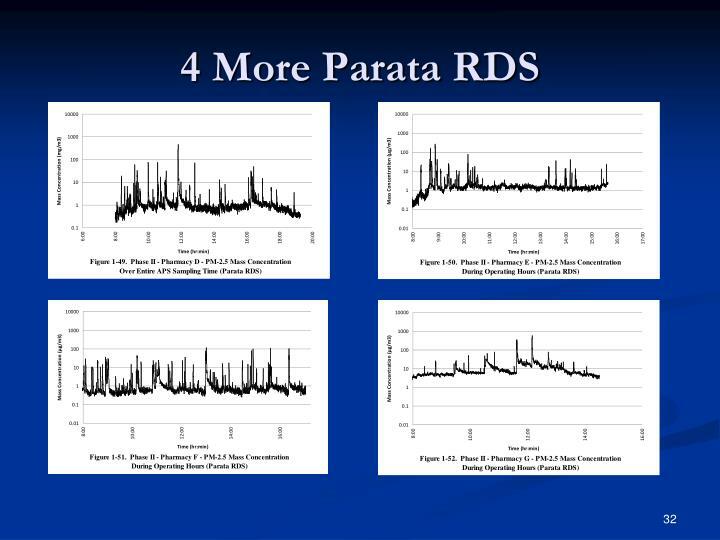 An analysis was performed to determine if the Parata RDS dust contained active pharmaceutical compounds of respirable particles. 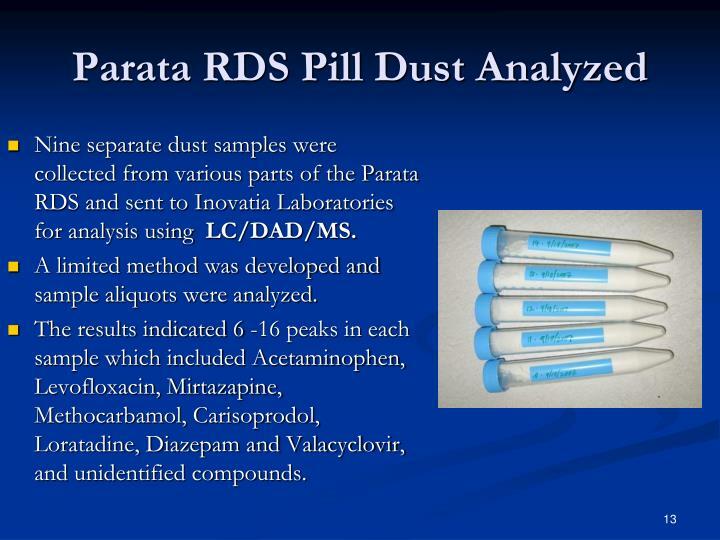 Nine separate dust samples were collected from various parts of the Parata RDS and sent to Inovatia Laboratories for analysis using LC/DAD/MS. 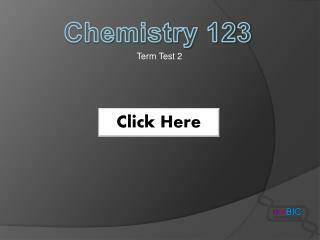 A limited method was developed and sample aliquots were analyzed. 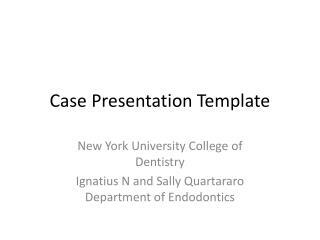 The results indicated 6 -16 peaks in each sample which included Acetaminophen, Levofloxacin, Mirtazapine, Methocarbamol, Carisoprodol, Loratadine, Diazepam and Valacyclovir, and unidentified compounds. 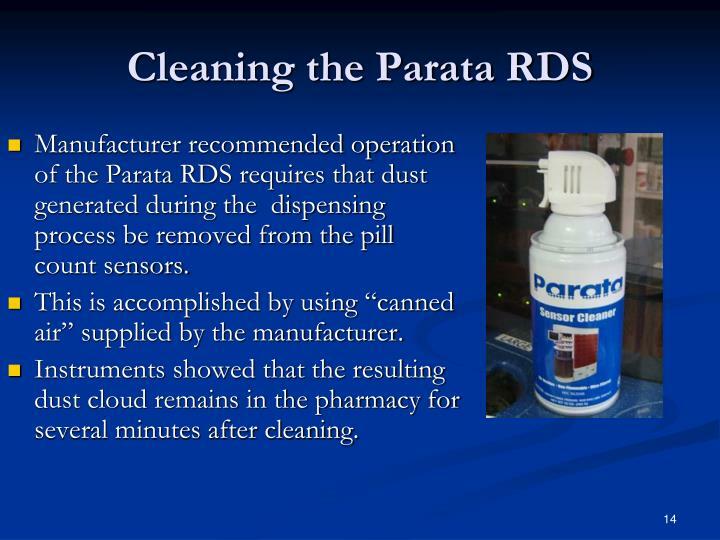 Manufacturer recommended operation of the Parata RDS requires that dust generated during the dispensing process be removed from the pill count sensors. 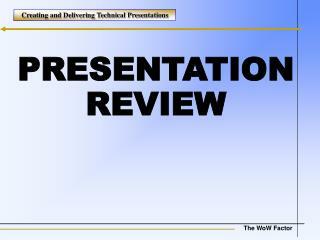 This is accomplished by using “canned air” supplied by the manufacturer. 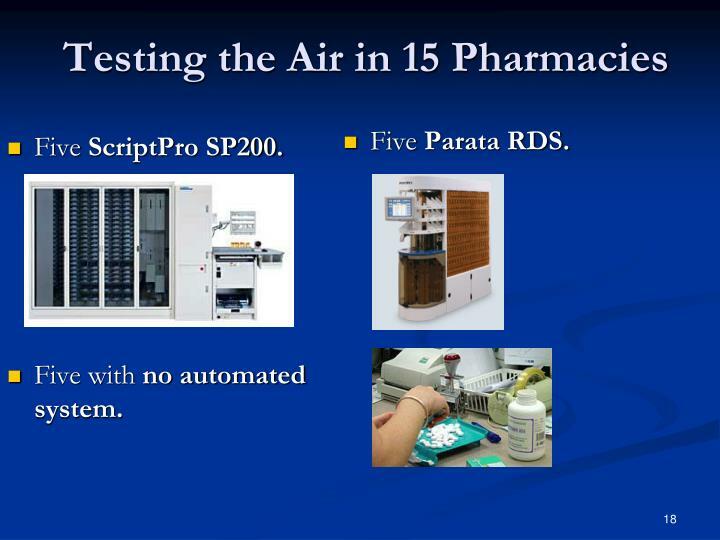 Instruments showed that the resulting dust cloud remains in the pharmacy for several minutes after cleaning. 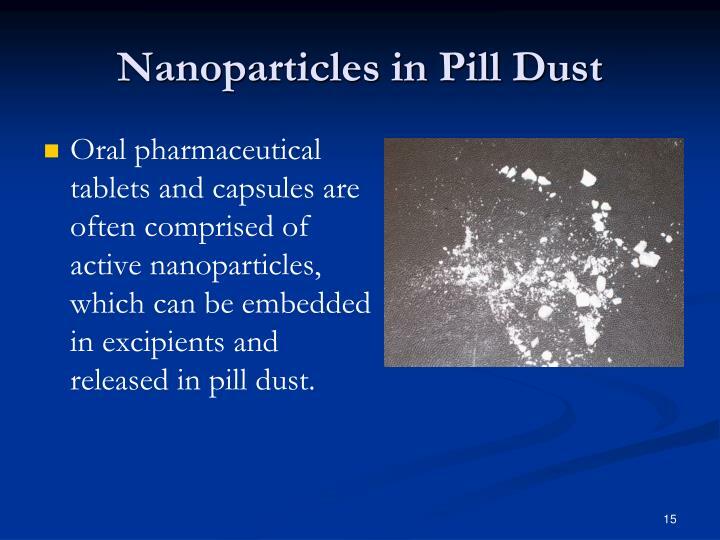 Oral pharmaceutical tablets and capsules are often comprised of active nanoparticles, which can be embedded in excipients and released in pill dust. 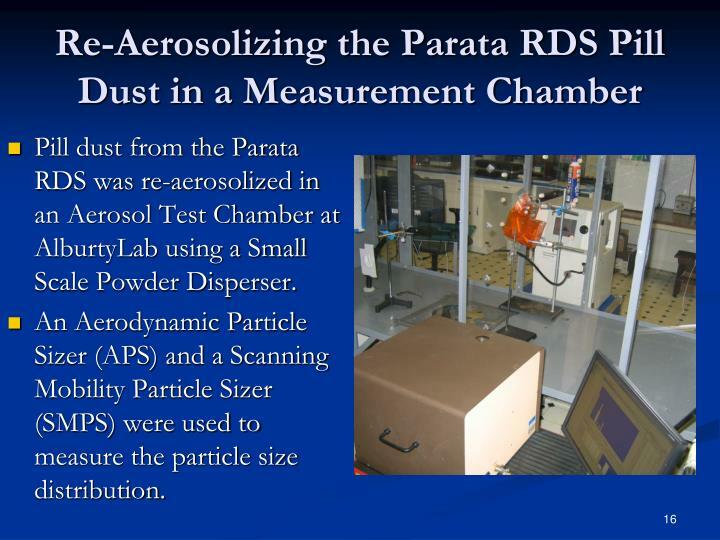 Pill dust from the Parata RDS was re-aerosolized in an Aerosol Test Chamber at AlburtyLab using a Small Scale Powder Disperser. 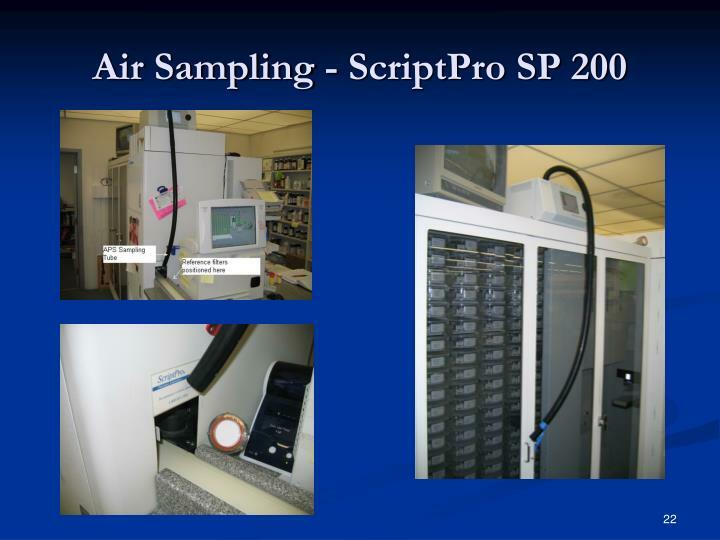 An Aerodynamic Particle Sizer (APS) and a Scanning Mobility Particle Sizer (SMPS) were used to measure the particle size distribution. 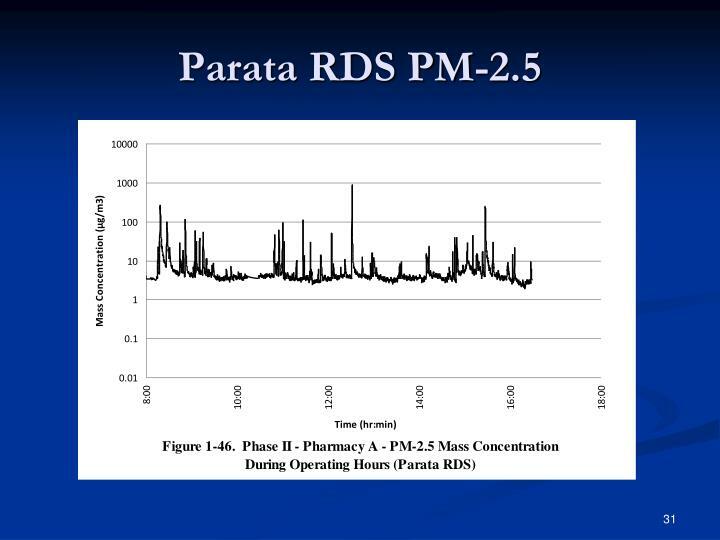 94% of the respirable particles (by number) reaerosolized from dust samples removed from the Parata RDS were in the PM-2.5 range. 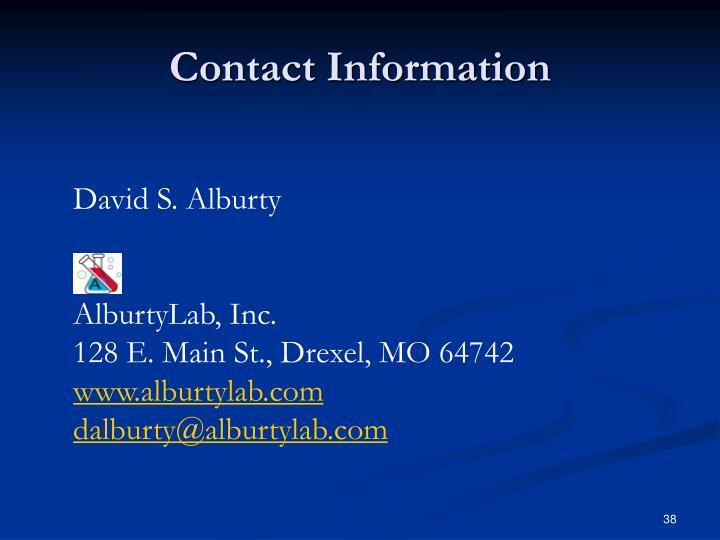 The samples were also shown by Mass Spectrometry to include active pharmaceutical compounds (example: Ibuprofen). 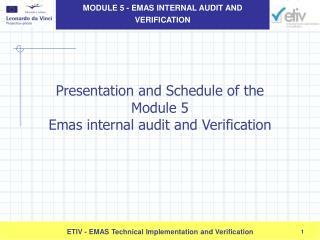 Five with no automated system. 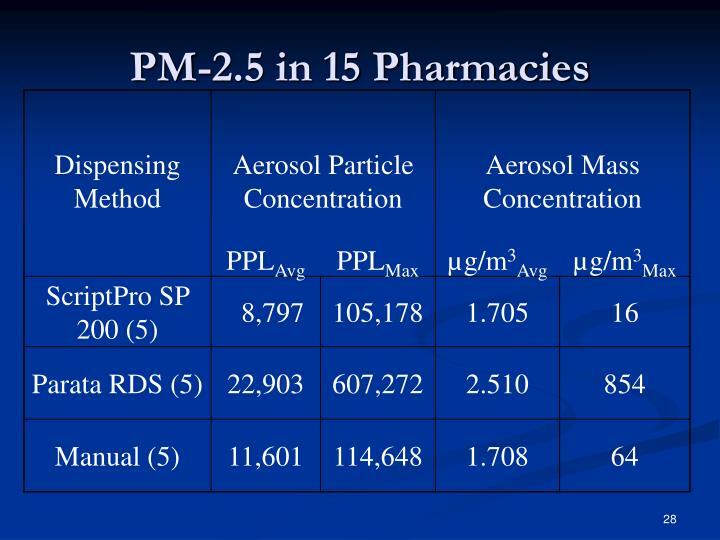 Pharmacy aerosols were observed over 24-hr periods. 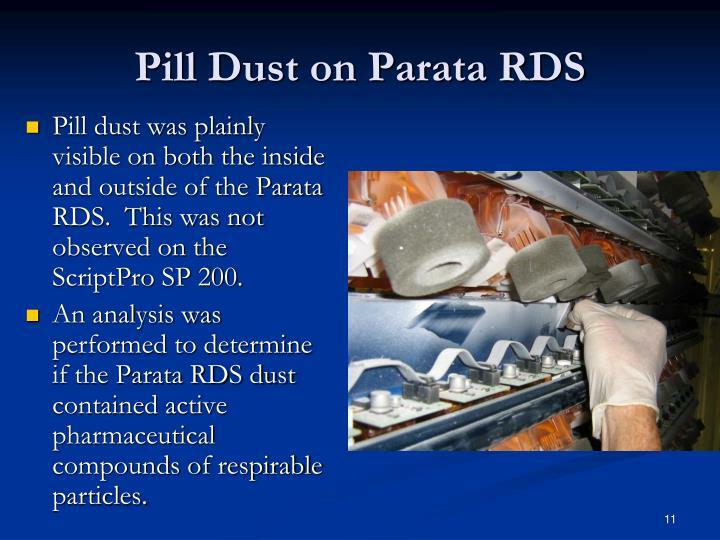 Emissions of pill dust from dispensing operations were sensed using an Aerodynamic Particle Sizer Spectrometer (APS). 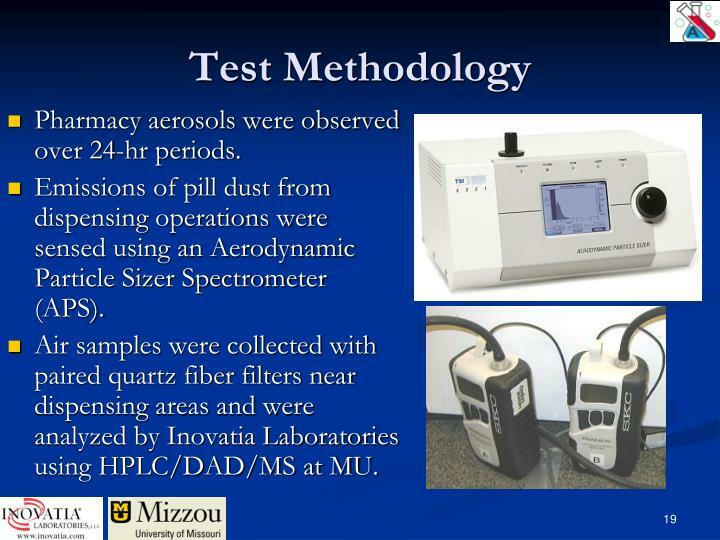 Air samples were collected with paired quartz fiber filters near dispensing areas and were analyzed by Inovatia Laboratories using HPLC/DAD/MS at MU. 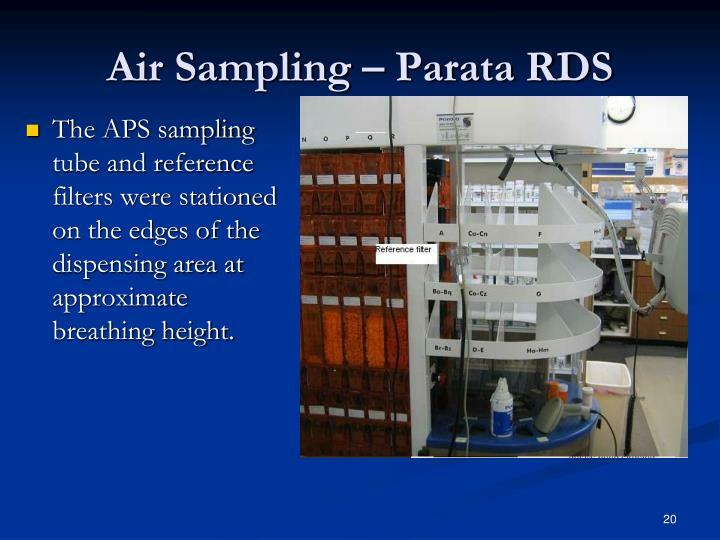 The APS sampling tube and reference filters were stationed on the edges of the dispensing area at approximate breathing height. 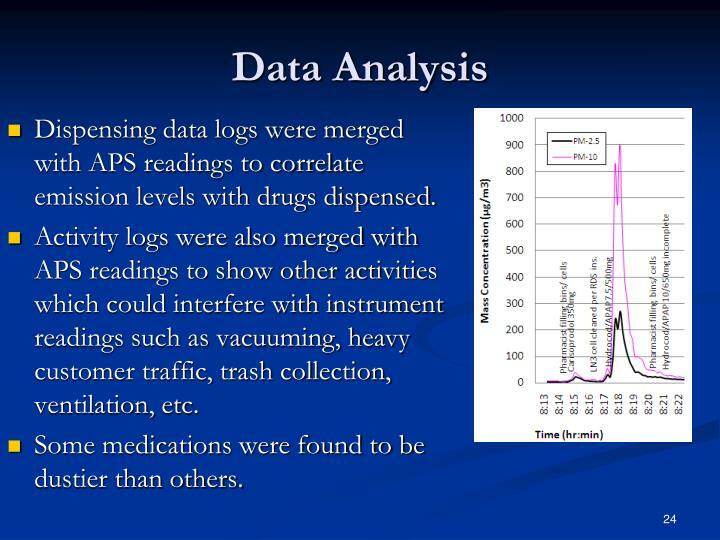 Dispensing data logs were merged with APS readings to correlate emission levels with drugs dispensed. 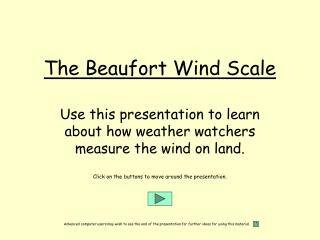 Activity logs were also merged with APS readings to show other activities which could interfere with instrument readings such as vacuuming, heavy customer traffic, trash collection, ventilation, etc. 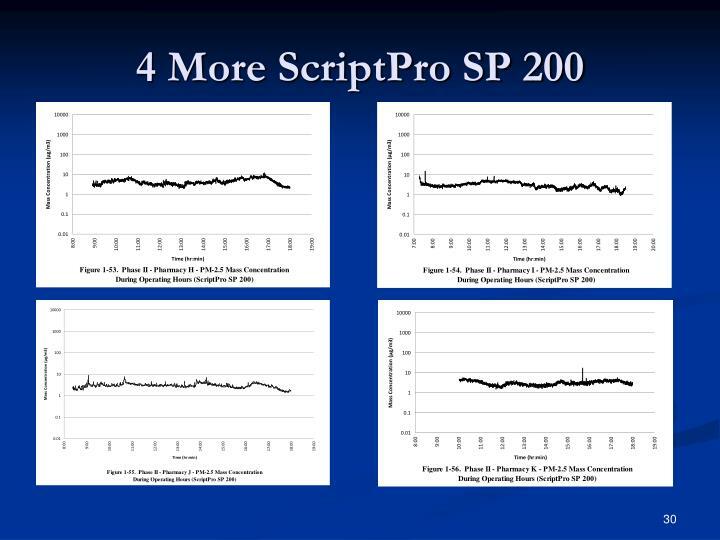 Some medications were found to be dustier than others. 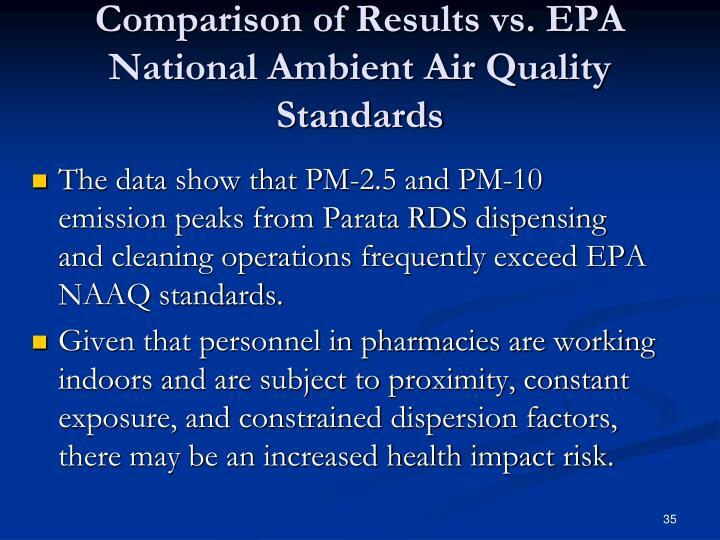 The data show that PM-2.5 and PM-10 emission peaks from Parata RDS dispensing and cleaning operations frequently exceed EPA NAAQ standards. 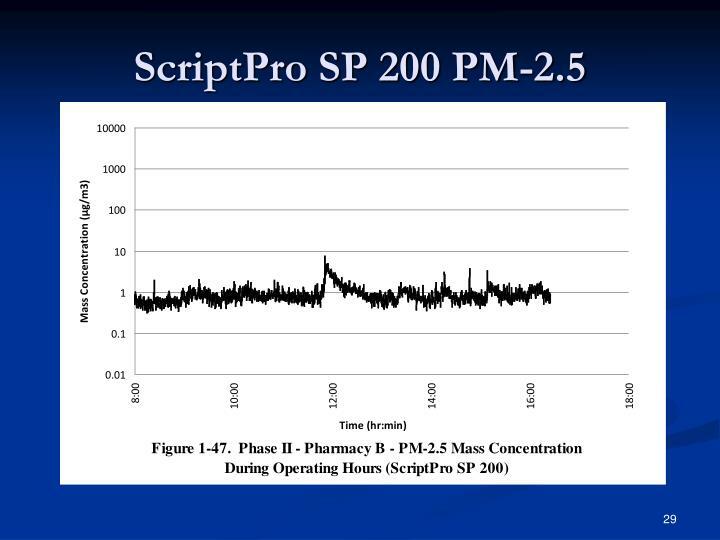 Given that personnel in pharmacies are working indoors and are subject to proximity, constant exposure, and constrained dispersion factors, there may be an increased health impact risk. 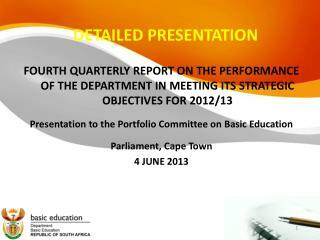 Extensive studies have been performed for certain classes of worker such as in coal mines, cotton mills, etc. 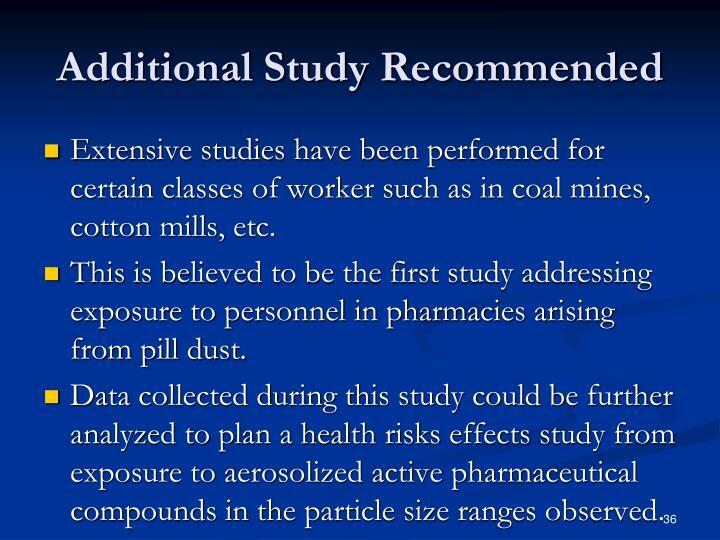 This is believed to be the first study addressing exposure to personnel in pharmacies arising from pill dust. 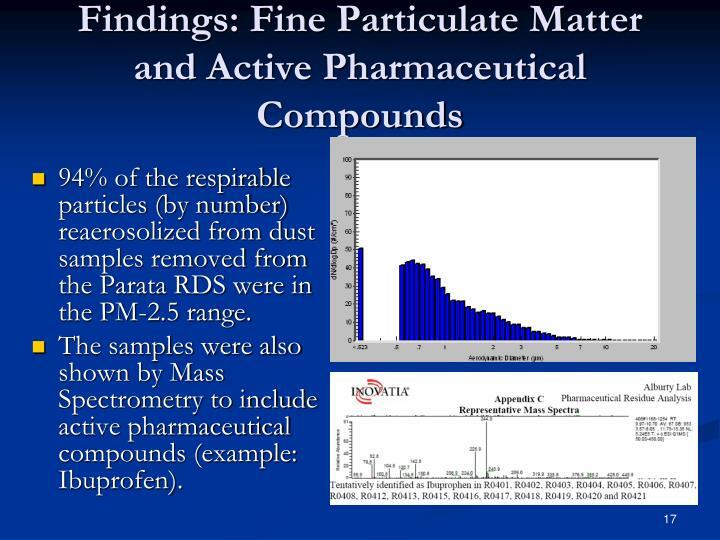 Data collected during this study could be further analyzed to plan a health risks effects study from exposure to aerosolized active pharmaceutical compounds in the particle size ranges observed.